We have added a classic Harvey Joiner Landscape oil painting of Cherokee Park, it is signed by Joiner and is in its original frame with name plaque. Harvey Joiner was born in Charleston, Indiana in 1852, he studied with David Hoffman in St. Louis and was active in Louisville from 1880 until his death in 1932. He was avery popular Louisvilleartist in his time and was well known for his Cherokee Park paintings. This is a beautifully rendered work by the artist, note the wonderful reflections of the beech trees in the pond. 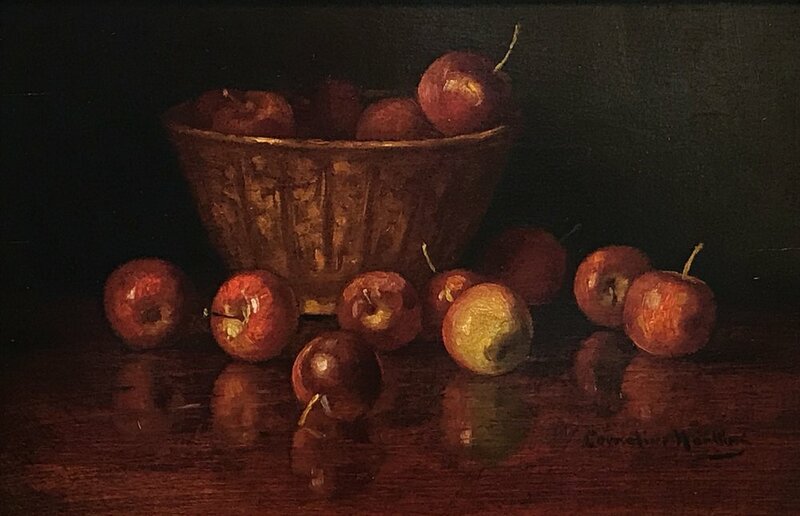 Joiner used layers of glazes and contrasting light and dark colors to give his paintings that unmistakable “Joiner” style. The Filson Historical Society, Indiana State Museum, Kentucky Historical Society, Morris Museum of Art, The Johnston Collection and The Speed Art Museum. 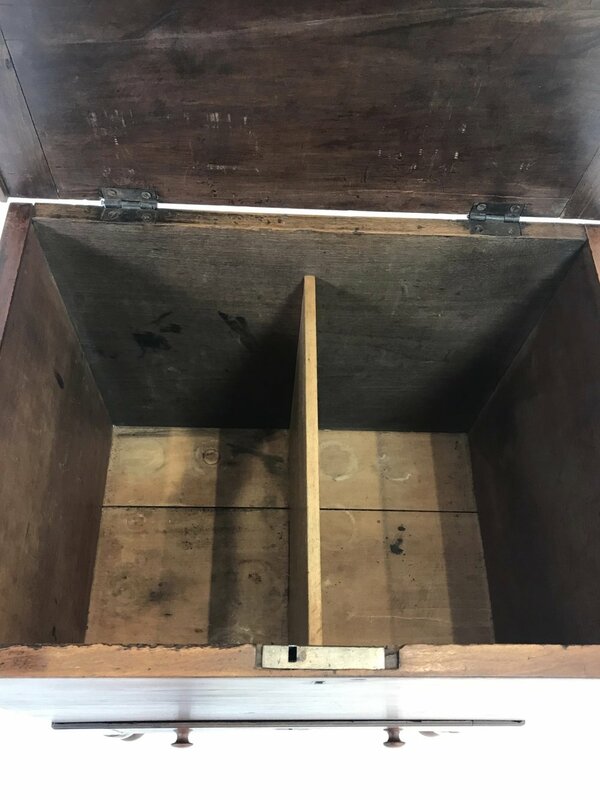 Original Sugar Chest Divider. Note smaller lock indicating that the original lock has been replaced.